Over the years, I've been fortunate to visit Miami on 3 separate occasions. Loved the beaches, the nightlife and of course the food. There is a definite Cuban flair to their food scene and of course I haven't shied away from it! So when it came time to find a Cubano back in Vancity, the closest I've come to the real thing is watching Chef on Blu-Ray. 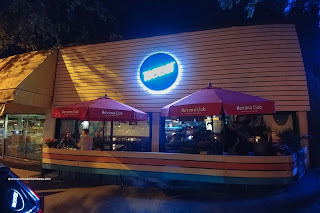 Yes, I've had the one at Havana (they've changed hands recently, so this might not be up-to-date) and it was laughable (they served it on a hamburger bun!). 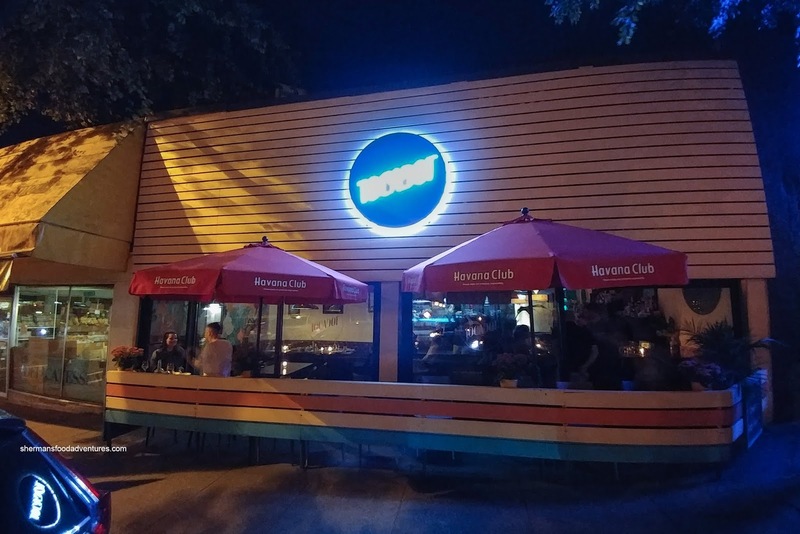 So when Tocador opened up in the former Charlies (and Habit before that), I rounded up the softball team to check it out. 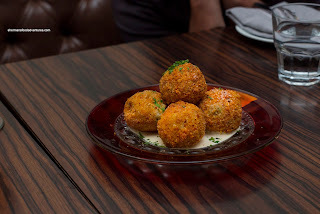 Since it was a Monday, it was happy hour all day with discounted appies and $5.00 draught beers. Score! We shared the the appie specials including the Croquetas con Cerdo featuring spiced pork, corn, peas and potatoes for $8.00 (normally $14.00). These were really good served piping hot and crispy on the outside. They weren't greasy at all. On the inside, the soft and airy potato filling was flavourful but somewhat one note. 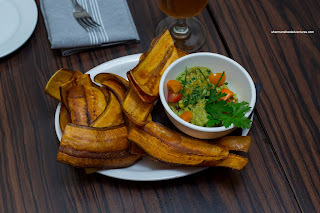 Also on special was the Plantain Chips served with house-made guacamole. These were also good being crunchy and none-too-oily. They were lightly salted and the side of guacamole was fresh and vibrant. However, I would've preferred something with more punch like a mojo. Miss Y got some happy hour Oysters for half-price (which meant she could get double-portion). 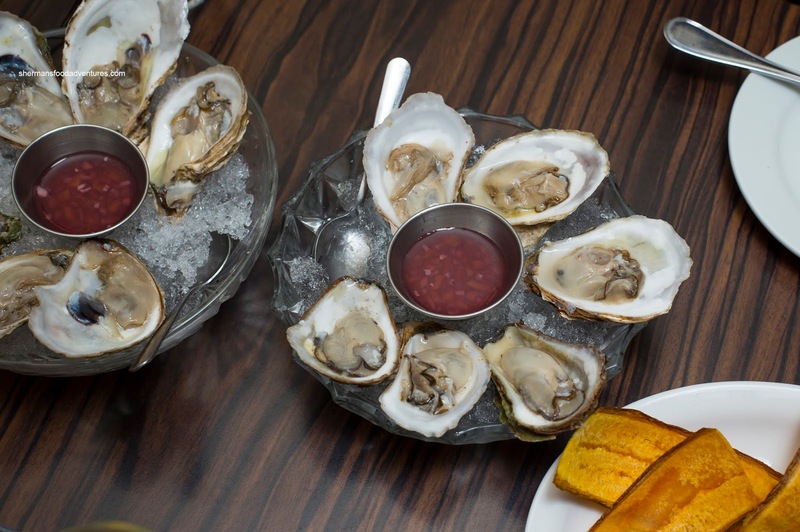 These were shucked properly without shell fragments and were nicely briny. I ended up sharing a Cubano and the Pollo Confidencial with Bear since we both couldn't decide on one dish. 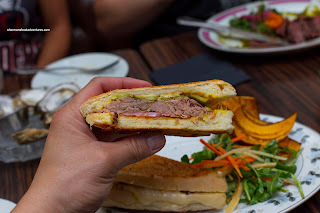 Consisting of the usual ingredients (the Miami version), it included smoked ham, lechon asado, dill pickle Swiss cheese and mustard on a house-made Cuban roll. It was pressed to order and the result was pretty good. The bread was crunchy while not dense. Inside, there was enough filling for impact where the salty, cheesy and tangy notes came through. For those expecting something mind-blowing in terms of spice, you won't find it. That's not a Cubano, nor is it Cuban cooking in general (although the Cubano originates in the state of Florida). The Tampa version would be more of your fancy since they use Italian salami. For our second dish, the Pollo Confidencial didn't look like much when it hit the table. I didn't properly read the description because I thought it was braised chicken. 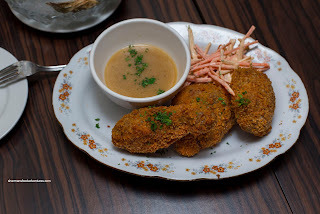 That it was, braised in citrus and spices (such as oregano, cumin etc...), then breaded and fried. So what we had was fried chicken. But oh wow was it good fried chicken. The breading was crunchy and wasn't as heavy as it appeared to be. Underneath, the meat was succulent and super tender. As for the braising liquid have much impact on the chicken, well it was rather mild. However, the accompanying gravy was potent and full of depth. Hence the chicken was amped up once dipped into it. On the side, there was a carrot and jicama slaw. JR went for the Filete en Rodajas which was a mojo-marinated skirt steak prepared medium-rare and served with chimichurri, arugula salad and tomato relish. This was also quite good with well-prepared steak that was tender and moist. It had been marinated enough that we could get mild notes from the mojo. Again, Cuban food isn't known for being in-your-face flavours, so this was actually fine. 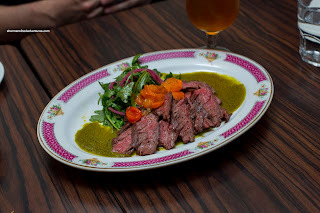 The chimichurri was decently flavourful being garlicky and bright. 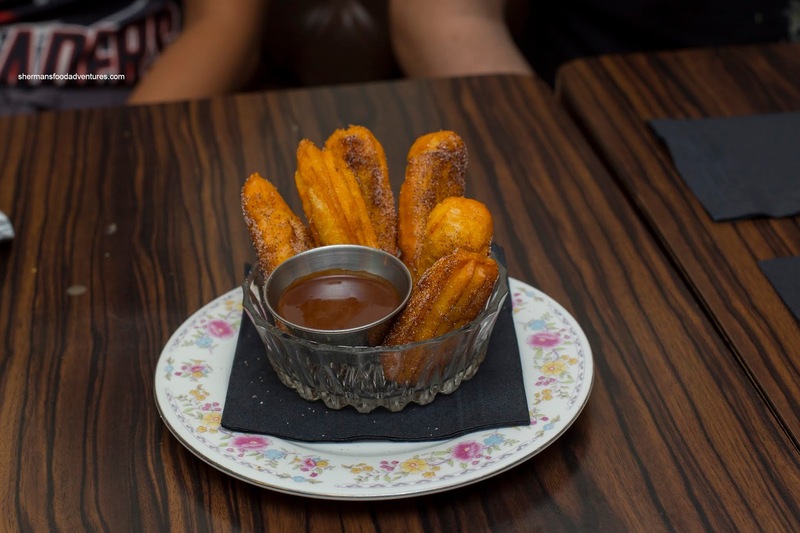 For dessert, we go a couple orders of their Churros served with spiced Cuban chocolate. Unlike the ones you find at the PNE or any other fair and theme park, these were soft and less crunchy. They were almost eggy-like. Personally, I would've liked more crunch, but they were good nonetheless. The chocolate dip was lightly bitter and not overly sweet. Hey, the stuff we had at Tocador gave us a reason to go back and especially on Monday since the deals make it easy on our wallets.